Delightful Children Cheering Volunteers | it takes two, inc. 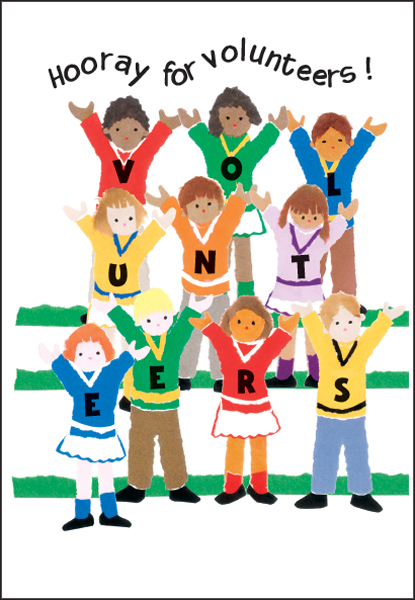 Working with our precious children is a most praiseworthy way to volunteer. Let these delightful cheerleaders help you show your appreciation. 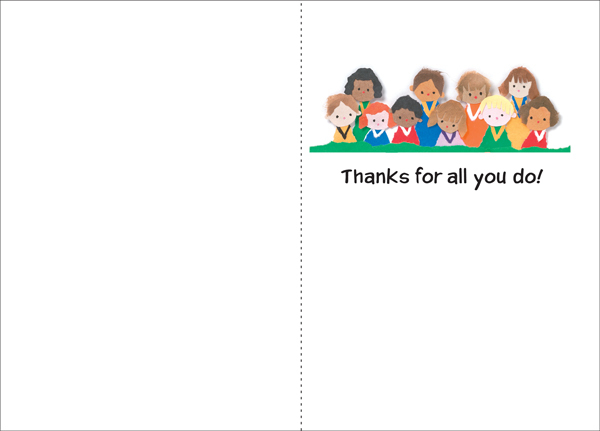 Shop our entire section of volunteer thank you cards! Inside: Thanks for all you do!